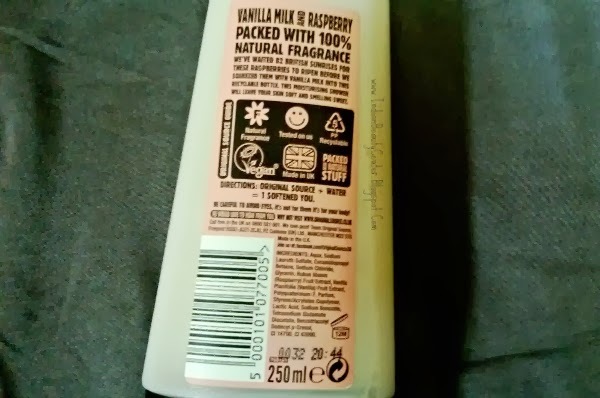 ‘82 British sunrises helped make one moisturizing lotion of this Original Source Vanilla and Raspberry Milk’. This was all that I needed to know to happily place an order for this body wash (I so love cute lables! )...This is the shower gel for women because of its delicious fragrance. But then, the question is- did it meet my expectations or was it a disappointment? Product Information- When we want to be, we can be a patient bunch here at Original Source. For this little treat we were really put to the test. 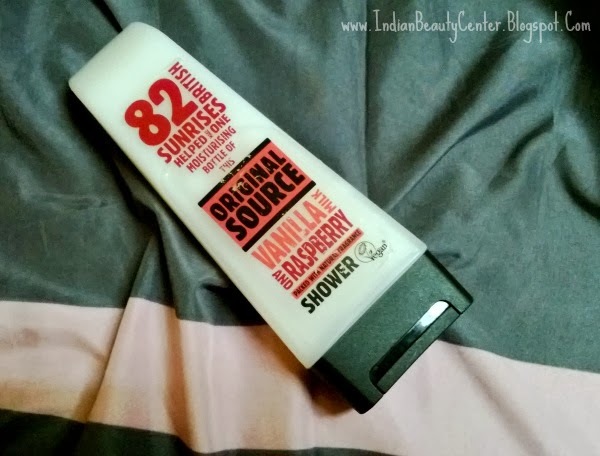 We waited 82 British Sunrises for the raspberries to become lovely and ripe before squeezing them with Vanilla Milk for this beautifully moisturizing shower cream. Made with 100% natural fragrances, this little pink bottle of joy smells just divine, give it a sniff, you’ve got to agree! 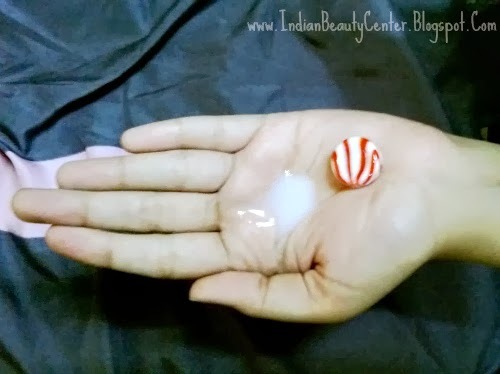 Smother yourself in this cream to smooth your rough bits. Ingredients- Aqua, Sodium Laureth Sulfate , Cocamidopropyl Betaine ,Sodium Chloride, Glycerin, Rubus Idaeus (Raspberry Fruit) Extract, Vanilla Planifolia (Vanilla) Fruit Extract, Polyquaternium-7, Parfum, Styrene/Acrylates Copolymer, Lactic Acid, Sodium Benzoate, Tetrasodium Glutamate Diacetate, Benzotriazolyl Dodecyl p-Cresol, CI 14700 ,CI 42090. Directions for Use- Apply to wet skin all over the body. Rub into a lather & rinse. Original Source + Water = 1 Softened you. Packaging- The Original Source shower gel, a bath and shower product, is 100 percent vegan, has a natural fragrance and offers a recyclable packaging. It comes in a transparent bottle which is top heavy. You cannot place it on your dresser, as it is bound to fall off. I have lost count of the number of times I have knocked it over! :P The flip-top is quite tight and you can easily carry it while travelling . The bottle is too big to be slipped into a small hand bag, though. 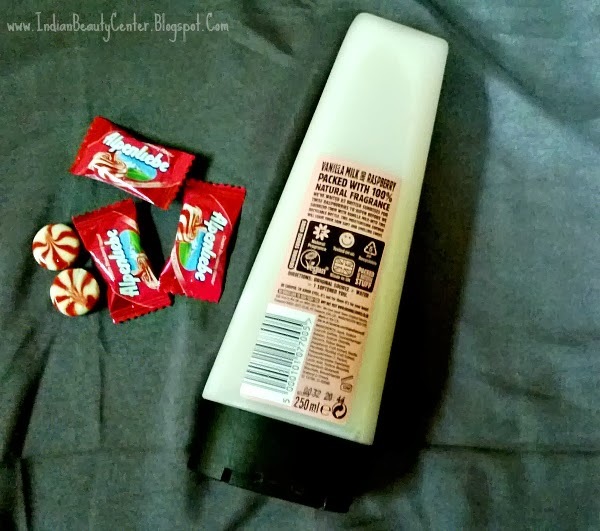 This Original Source body wash is really moisturizing and it does not dry out my skin. I use it twice a day and my skin remains really soft all throughout. 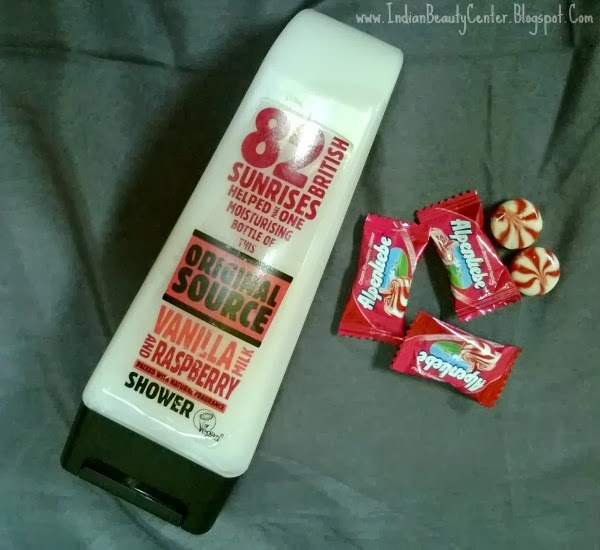 You need to use this body wash/ shower cream/ shower gel generously to bring up a good lather. I love the fact that this body wash's bottle can be recycled! Final Verdict: If you are looking for a good quality affordable body wash, then this Original Source shower gel should be your choice. Not the best body wash in town but worth a try. Also, I am sure that women are going to love this strawberry milk shake fragrance of this shower gel. But use the product carefully, because it does not mention the expiry date! About The Author: Khushboo Motihar- A Jack of all trades (Munni, if you will) who loves to write, eat (only chocolates!) and is a strong advocate of magic, true love and "they lived happily ever after"
Nice review, I think I'll skip it, this is not for me.